We’re in the final countdown. Only a few days left. The signs are everywhere I look, and I’m starting to feel the pressure and the excitement building. The big day is almost here. Of course millions of other people will participate, but this day will be especially significant to me. Because Halloween is the only day of the entire year when a person can gorge on chocolate and feel OK about it. 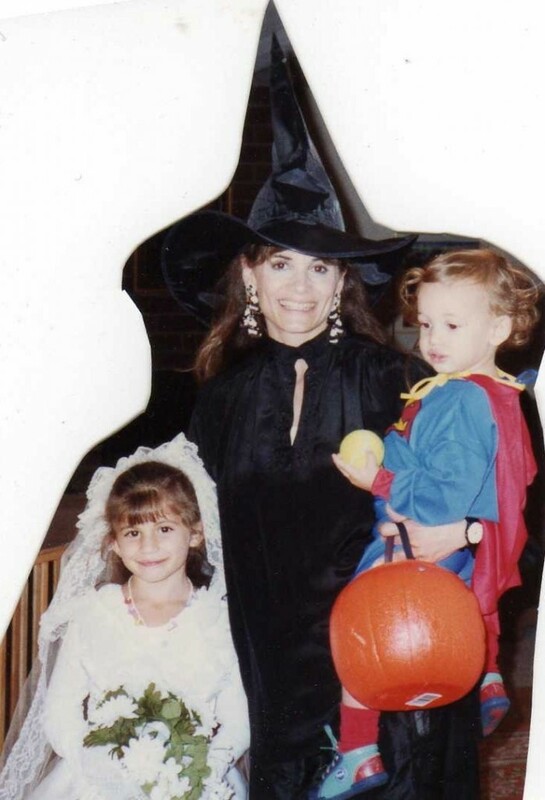 In the old days, Halloween was pure bliss. A holiday as American as hot dogs and apple pie–that included other favorite all-American foods like Snickers, Milky Ways, and M and M’s. As a patriotic American, my role was to go out and buy enormous amounts of candy with the completely acceptable excuse that it was intended for trick-or-treaters. In my world, buying a supply for Halloween could take place as early as mid-July. Not only did I have an available source of chocolate on hand for weeks, but Halloween itself was a day like no other. I would dress up my two precious munchkins in adorable costumes, and then send my innocent, unsuspecting children out into the world– with the sole mission of procuring chocolate. They would come home with their little plastic pumpkins overflowing with goodies. According to the family ritual, they would dump out their assortments so I could admire and assess what they had accumulated. And then came the Mommy moment of grace. Every year, with absolutely no hypocrisy whatsoever, it was perfectly legal for me, as the parental police, to confiscate all of the candy—which I would immediately stash away, out of their reach. With luck, the kids would forget about the candy up in the tall cabinet. I never did. Those were the good old days. When my kids lived at home. Back then, life was sweet–but now I’m bitter. Because now that I have an empty nest, Halloween presents a major dilemma. So far, it’s been business as usual. I have bought industrial-size assorted bags as I always did, filling up huge bowls of candy just in case the entire Harlem Boys Choir happens to fly into California and show up at our door. But the choir has never showed up. For the past few years, we’ve had only a handful of actual children come to our door—thus leaving the bulk of the candy–and I don’t use that word lightly–to be consumed by adults. Namely by me and V.
I know very well that the same thing will happen this year. Which is why I carefully avoided the candy section today at the supermarket. I plotted my route so I stayed at least two aisles away at all times. But I could still hear them calling me–the Tootsie Rolls, the Snickers, offering me a big Payday. I pretended I wasn’t listening, and I managed to narrowly escape empty-handed. But I know if I go back to the store in the next few days, Mr. Goodbar will still be there, waiting to hit on me. And unfortunately, he knows that I’m always willing to bring him home.